DAVID LE/Staff Photo. 6/19/15. 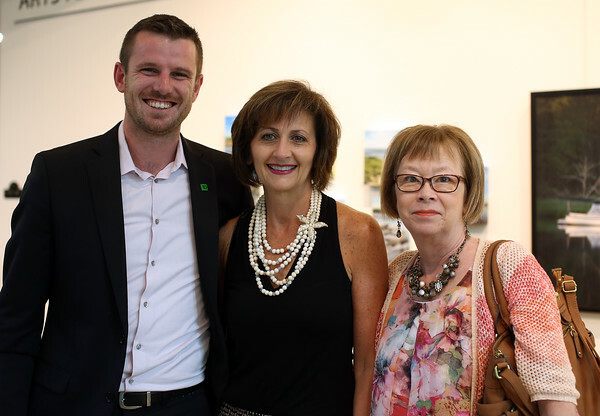 Geoff Leahy, of TD Bank, Liz White, of Danvers, and Eileen Duggan, also of TD Bank, at the Beverly Arts Fest Community Art Exhibition reception held at the Manninen Center for the Arts at Endicott College on Friday evening.